If you’ve missed any of the Music Education Blog Carnivals then you’ve missed something good indeed. Joel and I started the Music Education Blog Carnival as a way to spread good information about music education and music technology by the quickest of means to those looking for ways to improve their teaching, music knowledge, or simply increase their awareness about a variety of music topics. 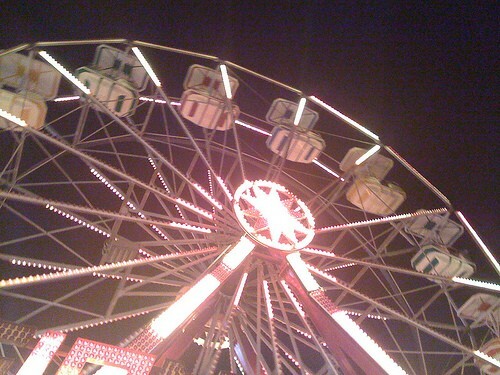 The Music Education Blog Carnival is semi-reviewed. What does this mean? Although not completely like a peer-reviewed journal, each article submitted to the carnival is reviewed by each host to see if the contents are timely, content (music) related, and of interest to music educators, music students, or anyone interested in our field. I am currently looking for hosts for the April, May, and June 2009 editions of the Music Education Blog Carnival. If you are interested (especially if you’ve successfully submitted a post to our carnival in the past), I would love for you to contact me and let me know of your interest. The March edition of the Music Education Blog Carnival will be hosted by David French of the Tanbur Music Education Blogspot. David writes about many issues and ideas directly related to those in music education across the grade levels. I am very delighted to have him as the March host. To submit for the March edition please use the following link and visit our Music Education Blog Carnival homepage. 1st edition, July 1st, 2008: Joel – So You Want To Teach?